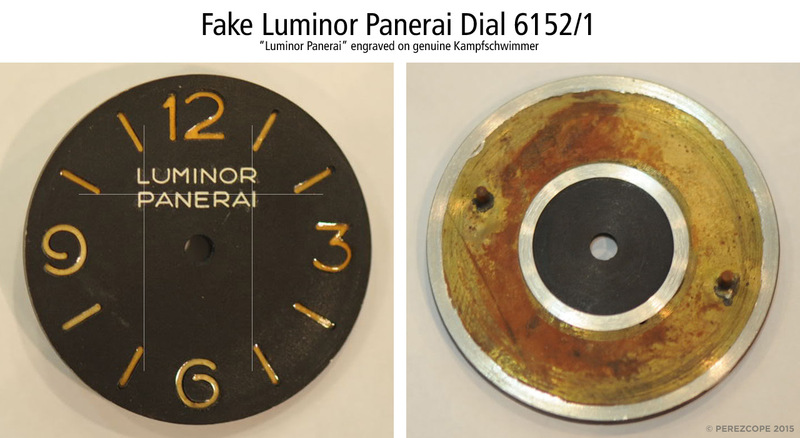 A few years ago, there was a discussion about highly radioactive Luminor dials on a Panerai forum. Old school researchers had measured such dials with a geiger counter and were surprised to see high radiation levels of Radium. 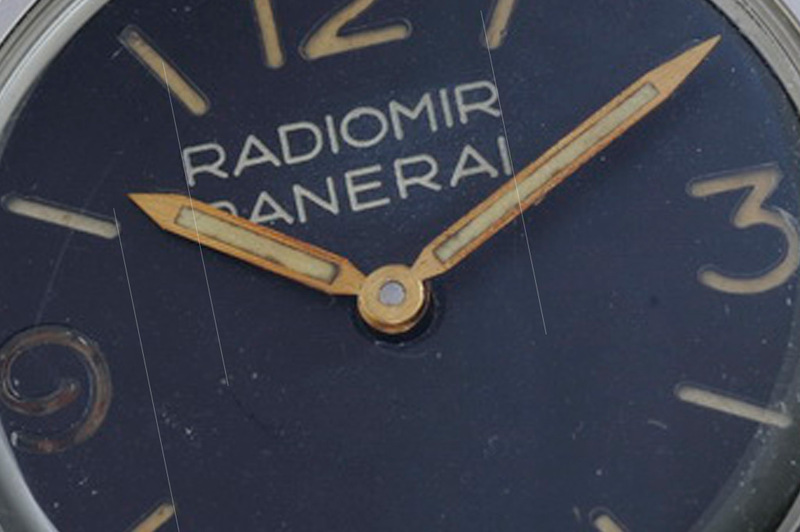 Luminor is a tritium-based lume and should only emit low beta radiation. 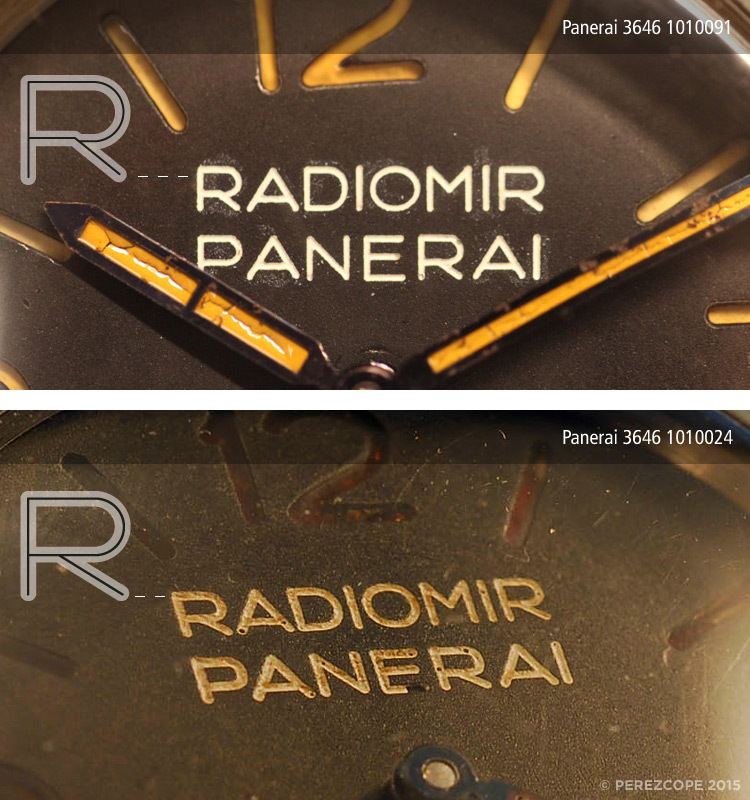 The researchers assumed, Panerai had used Radiomir luminous material for these dials and the case was closed. 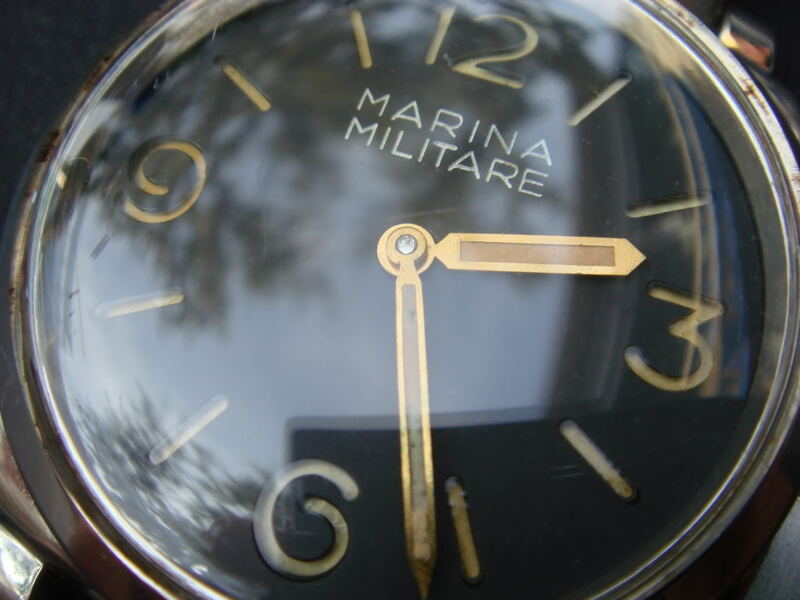 After I found an anonymous Kampfschwimmer dial which had been engraved with “Marina Militare” to achieve a higher price at auction, I started to compare all dials I have in my database. 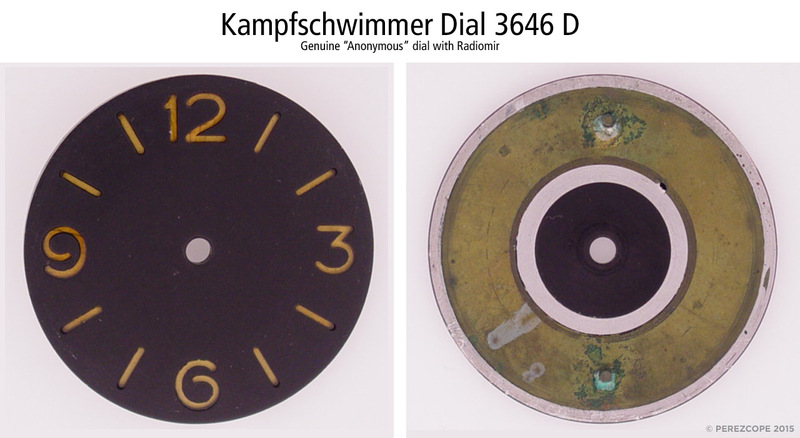 There are two types of anonymous Kampfschwimmer dials. The earliest batch with an almost closed loop and the second batch with a more open loop. 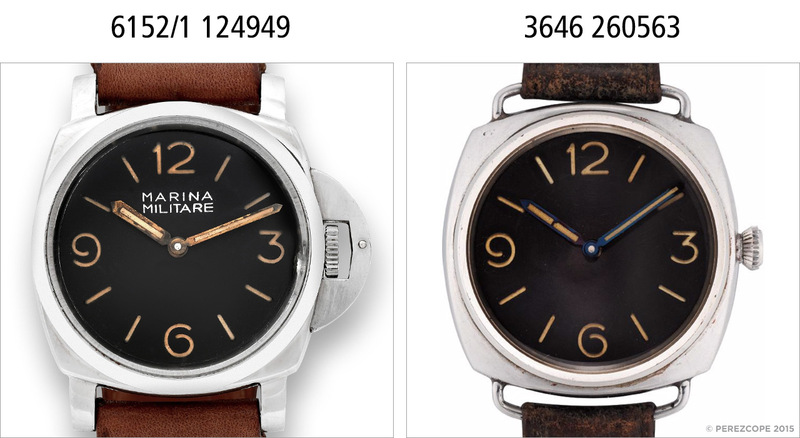 Dials with more open loops appear only in 3646 Kampfschwimmer. 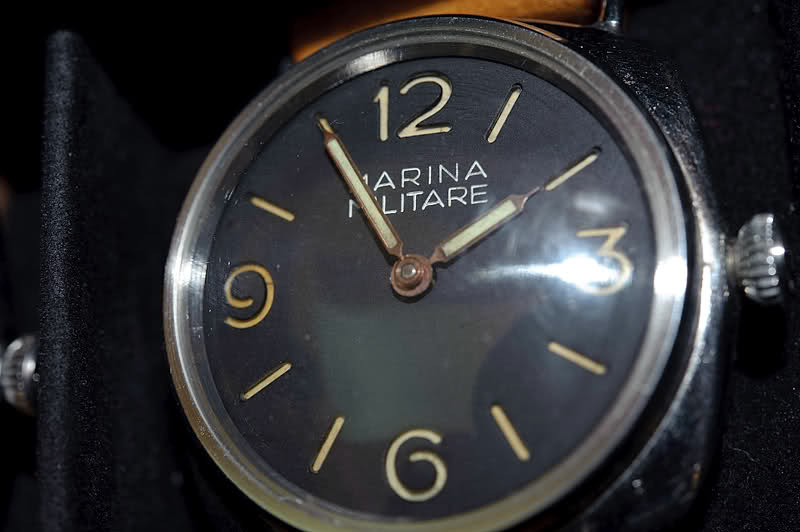 So if we see dials with more open loops and engravings, the engravings are most certainly NOT ORIGINAL. Could it be that those highly radioactive Luminor dials are nothing else but altered Kampfschwimmer dials? 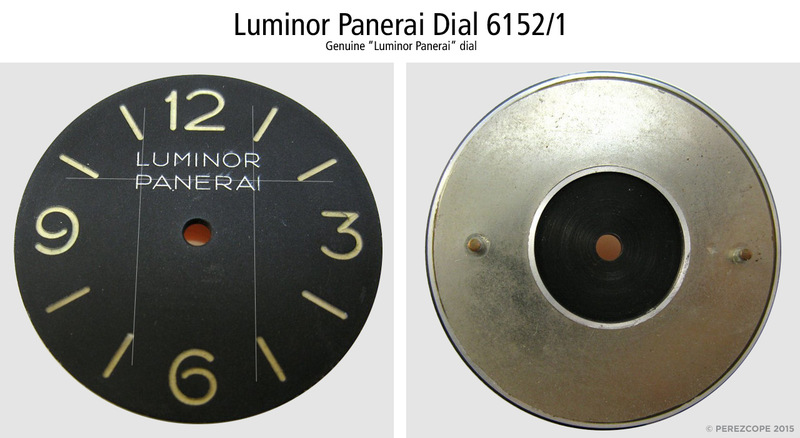 The picture below shows an original Luminor dial from the 1960s. As you can see, the loops are almost closed. I believe the following picture shows an altered Kampfschwimmer dial. The more open 6 and 9 are quite obvious. 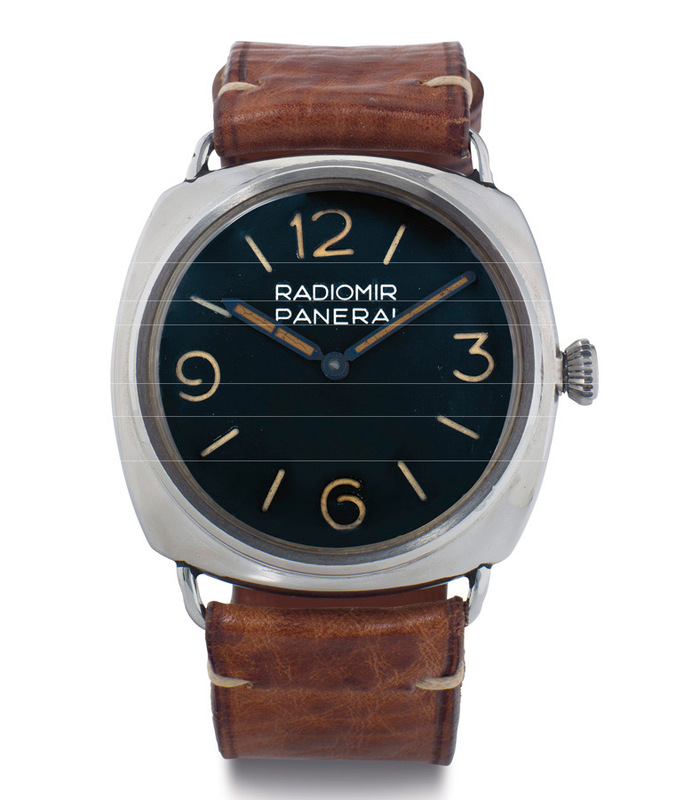 The patina doesn’t match regular Luminor Panerai dials and the back of the dial is different than the one above. 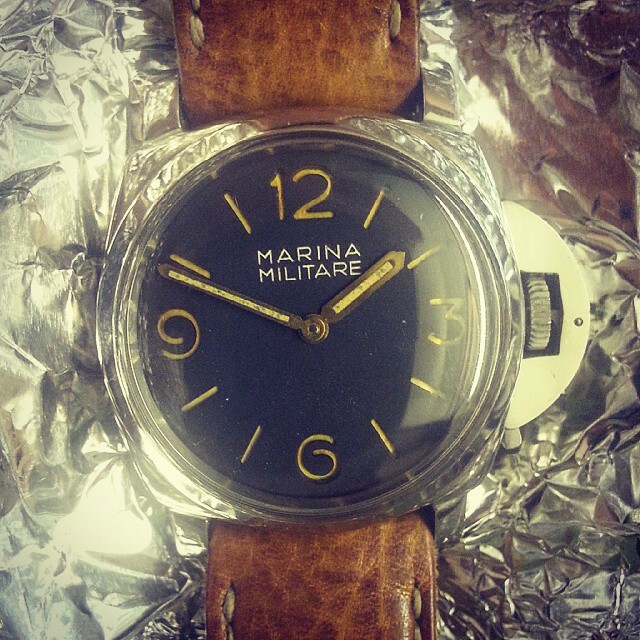 Let’s compare this dial with an untouched Kampfschwimmer dial. Same 6 and 9, patina is very similar as well and the construction of the back is identical. Note also the patina on the back plate. 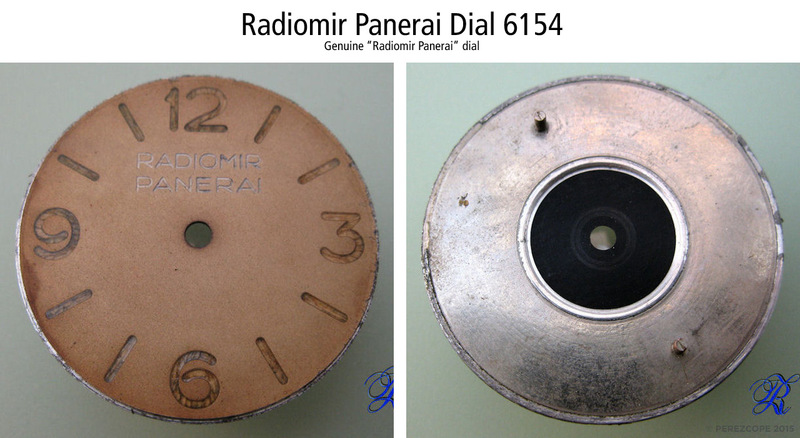 The material is probably naked brass as opposed to the plated back plate of 6152/1 dials. Let’s see the construction of an early 3646 Type C dial. Almost closed loops on the front and the back is only slightly different. The material appears to be the same. 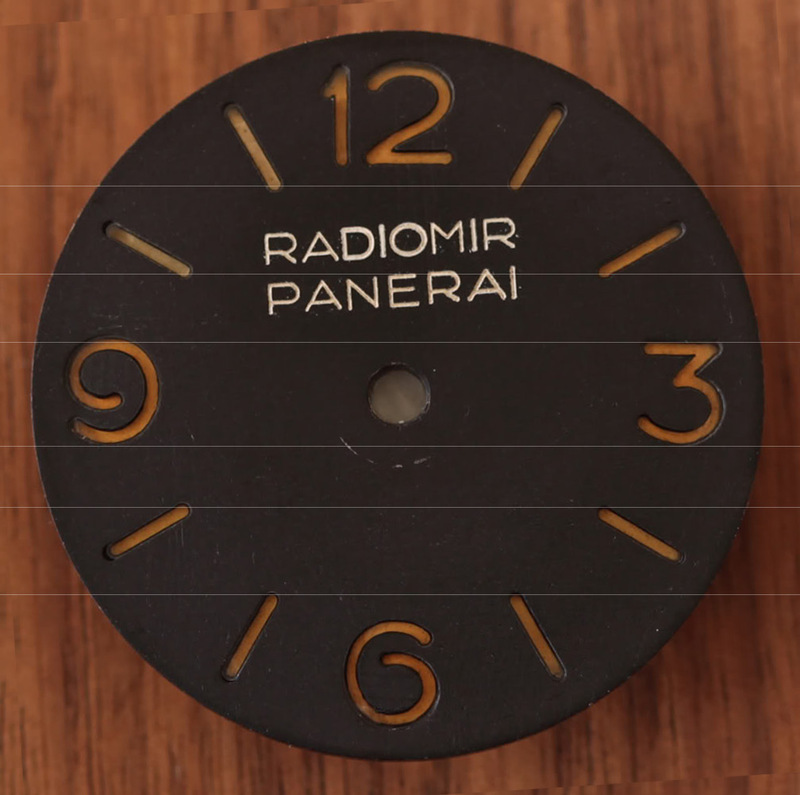 To make this list complete let’s have a look at a 6154 Radiomir dial from the early 1950s. These dials are very thin, only about 1mm. The construction is slightly different and the back appears to be plated as in 6152/1 dials. Here is an overview of what i believe are altered Kampfschwimmer dials. A closer look at the engravings compared to a similar 3646 C shows the differences. Note also the different patina of the markers. Altered Kampfschwimmer dial, MMLP without sub seconds? 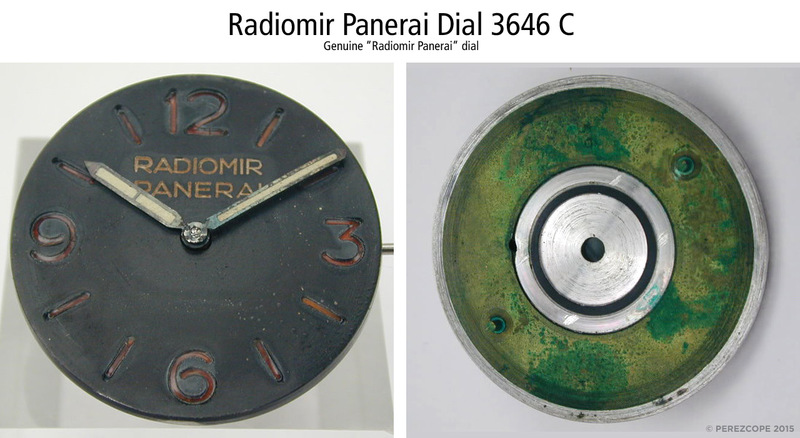 The very same dial was installed in a 3646 (261352) with odd hands. Close up on the engravings. The same signature R’s again. All these dials have something in common: more open 6s and 9s and an R with a wrong shape. The more open 6 and 9 clearly identify them as anonymous Kampfschwimmer dials. 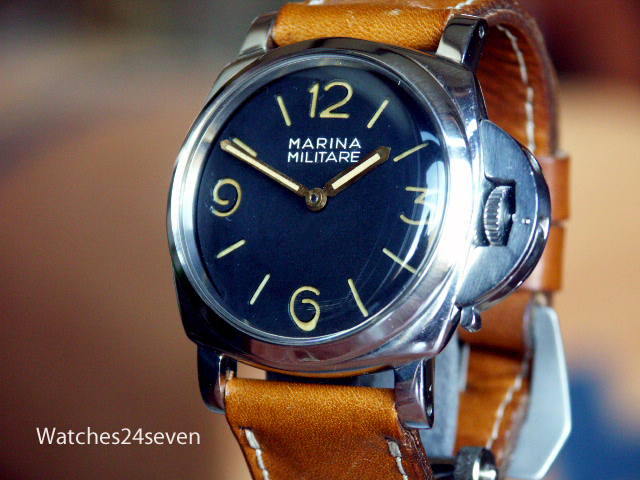 In my opinion, they were not engraved by the old Panerai company. Most of them bear the same signature, especially the crooked ones. 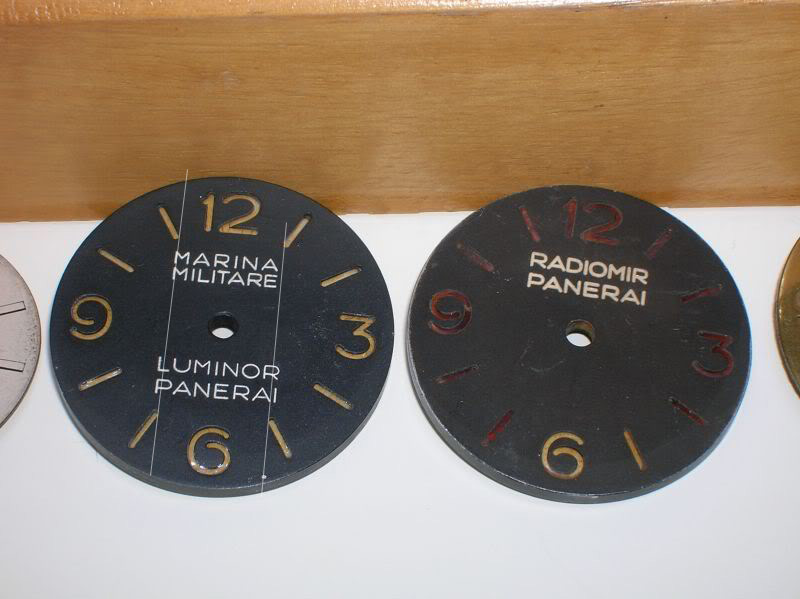 I came across the information that in the early 1990s two individuals were able to extract around 600 dials (rejects, used and discarded), along with other materials from Officine Panerai S.p.A. in Florence. According to my information, Vendôme was offered the chance to buy over those dials in 1998 but the deal was never concluded.